Witnesses are being sought by police after an advertisement board was deliberately set on fire in Ripon. 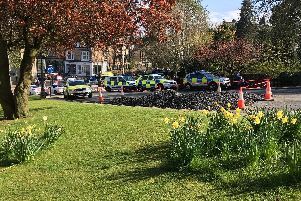 The incident on Harrogate Road is believed to have occurred between 3.20 and 3.25 am on Saturday (February 17). North Yorkshire Police is asking that anyone who saw the incident or if you have information to contact them on 101. You can also contact Crimestoppers anonymously on 0800555111.